This Myanmar photography trip takes you to one of the most mysterious and undiscovered destinations in the world. It is the Burma of old, where tribal life still exists, where ancient temples are numerous and not over run by mass tourism, and the landscape is spectacular. This photo tour is for the photographers who like to immerse themselves in a culture very different than what they have experienced before. Those interested in archaeology, indigenous culture, and spending 12 days with fellow photographers will love this trip. 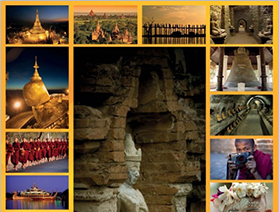 The Myanmar photo tour includes four major destinations which will be explored and photographed. This will be our fifth photo trip to Myanmar, our guides know what makes a photo intensive trip work.